The CMV12000 sensor suffers from dynamic row noise. That means, a scalar offset gets added to each row. The offset is not correlated between different frames, so we can't remove it using a calibration frame (dark frame or whatever). One can observe this noise by looking at the difference between two images taken at identical settings. There are two main components that appear obvious in such a difference frame: random noise (per pixel, increases on brighter pixels) and row noise (per line). "The noise is also present in the black reference columns (8 left and 8 right), so when enabled (reg 89 = 1), these can be used for row noise correction by for example making a relative row profile of these black columns and subtract this from the image." Here, let's say R = x1 is row noise (stdev = 1.6 at gain=x1) and x2 is black column noise. We want to find k that minimizes var(R - k*B). => k = var(x1)) / (var(x1) + var(x2). In particular, for gain = x1, k = 1.6^2 / (1.6^2 + 1.3^2) = 0.6. So, we don't have to simply subtract the black columns. Rather, we'll subtract the static offset (median value) first, and then, we'll subtract the remaining variations multiplied by 0.6 at gain=x1. Things get a little more complex because the static offset is different on odd and even rows, and it also appears to change from the left side to right side of the frame. More details on the Raw preprocessing page. A closer look at the frequency spectrum of the black columns, compared to the spectrum of the row noise from a dark frame, revealed a strong fixed-frequency component present only in the black columns. Attempting to fix row noise with the above procedure would introduce some of this fixed frequency component in the main image as well. In the example image from below, this component has a frequency of 1/41.27 pixels-1, with an amplitude of 1.14 DN. 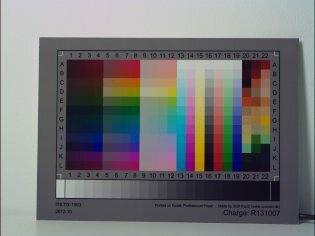 The value is different in other test images, and appears to be consistent in the images taken during the same experiment. It doesn't change with exposure time. Cause is unknown. We'll attempt to filter out this perturbation from the black columns before using them for reducing row noise. Maybe some nearby rows could offer some hints about the row offset on the line being analyzed? What's interesting: on even rows, row noise (in the active area) depends on the black column average from the same row, but also on the black column average from the previous row. But on odd rows, it depends on the black column average from the same row and the next row. This probably means they are processed in pairs, and there is some common perturbation that affects both of them. This gives a minor improvement (0.6 -> 0.5). The two green channels are expected to be nearly identical, except for high-frequency details like sharp edges. That means, if we take the median difference on each row, we expect to get zero. In practice, we get some nonzero values. We could try to see if there is any correlation between those green channel differences and our row noise. 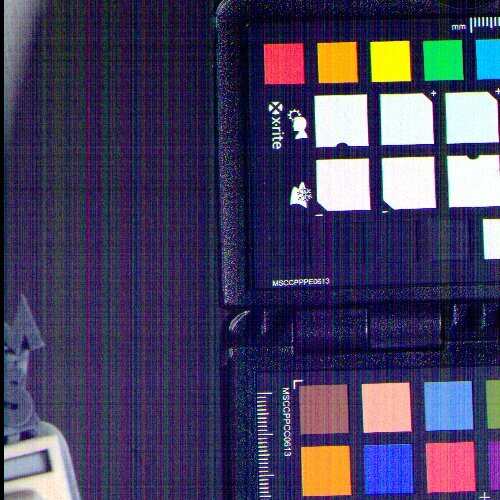 Let's extract only the green channels from an image: the result will be W x H/2. Let's define green_delta(lag) = row_median(green - circshift(green,-lag)). That means, from each green row, subtract some nearby green row, and take the median difference. We'll compute this at lags -2, -1, 1, 2, mapped to array indices 0, 1, 2, 3. As weird as it looks, it seems to work! Improvement (over the "Kalman" scaling of black columns): 0.6 -> 0.3. The methods discussed here are implemented in raw2dng. Tip: the algorithm for filtering row noise is also available in MLVFS, so you can use it on MLV videos (recorded with Magic Lantern) as well. Checking a single 10ms dark frame, corrected using 256 exposures between 1.2ms and 77ms, various settings. Showing only noise measurements. So, row noise was reduced from 1.33 (after dark frame correction) to 0.61 after using the black reference columns. 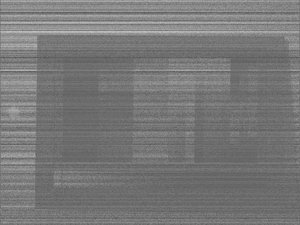 If it's still noticeable, --fixrn should bring it to very low levels, unless you have strong horizontal lines in the image, which might trick the algorithm. Left: raw sensor data (adjusted black level manually). Right: after dark frame and dark current subtraction, but without correction from black columns. 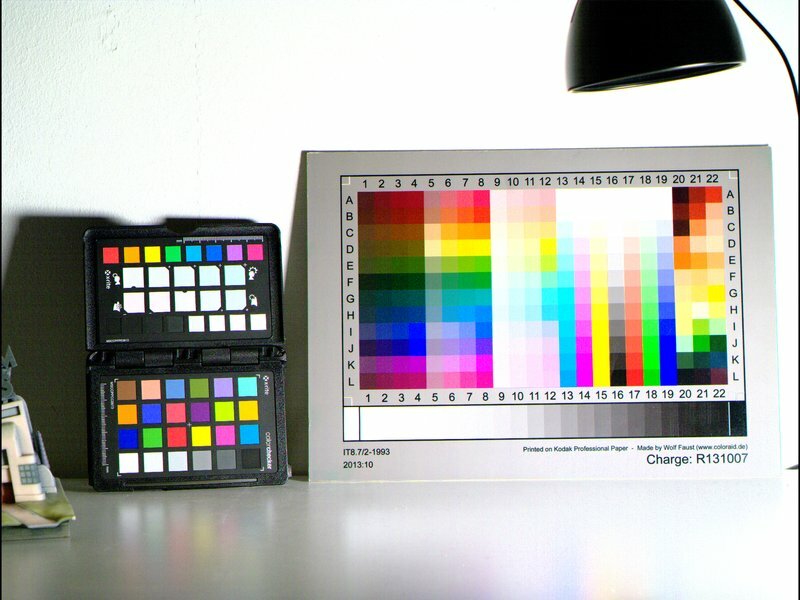 Left: after dark frame, dark current and black reference columns correction. Right: after row noise reduction (--fixrn). 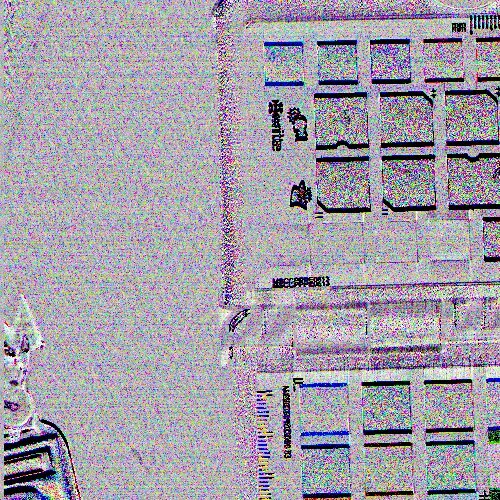 Right: noise image, revealing row noise. Black regions are from edges that were masked. This page was last edited on 5 March 2018, at 21:01.